A former Governor of Sokoto State, Attahiru Bafarawa, on Friday insisted that he will defeat ex-Governor of Kano State and Peoples Democratic Party, PDP, Presidential aspirant, Rabiu Kwankwaso, during the party’s primary election. Bafarawa, a PDP presidential aspirant explained that he will defeat Kwankwaso due to the latter’s inability to deliver on his promises to the people of the state. 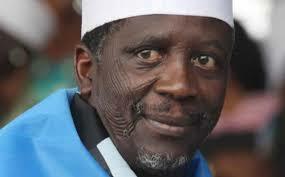 Addressing PDP delegates in the state, Bafarawa said Kwankwaso didn’t perform as Kano governor. He said, “There is no reason whatsoever to see some certain party elders fighting each other through media, such can destabilize our collective unity and chances to defeat ruling APC. “All such noise and threat among party leaders across board are meant to create disunity by some of whom are not happy with our current success in the country. “I am not afraid, I will never see any of the aspirants as a threat to get our party ticket, I will surely defeat and secure the mandate. “My reasons, why I said I will beat Senator Rabiu Kwankwaso both in Kano and also at the Presidential primaries hands down, are just simply because he did not perform.